November 11, Remembrance Day, is a time for Canadians to remember and honour the men and women who have served, and continue to serve, the country in times of conflict and peace. Remembrance Day also allows Canadians the opportunity to be more in tune with the reality that war and conflict still continue to be a large part of the lives of many people, irrespective of age, social class, race and/or gender. 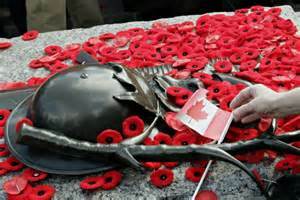 In Alberta, British Columbia, New Brunswick, Newfoundland and Labrador, Northwest Territories, Nunavut, Prince Edward Island, Saskatchewan and Yukon, Remembrance Day is a paid public (statutory) holiday, under their respective Employment/Labour Standards Acts. Employees are therefore entitled to a day off with regular pay or public holiday pay (depending on the province or territory of employment). In the event an employee is required to work on the holiday, the employee must be paid regular wages and get a substituted day off with pay at a later date (again, this depends on the province or territory of employment). Federally regulated employees also get Remembrance Day off. Under Manitoba’s and Nova Scotia’s Remembrance Day Act, most industries are not allowed to operate on Remembrance Day, with exceptions. For instance, in Manitoba, the following industries are allowed to operate: hospital employees; hotel and restaurant employees; workers who do emergency repairs; and workers who supply heat, gas, light, water or electrical services, just to name a few. Employees who do not work on November 11, do not get paid for the day, unless the employer offers pay as an added benefit. In Ontario Remembrance Day is not a statutory holiday. While some employers give their employees a holiday on Remembrance Day, they are not required to do so under the Employment Standards Act, 2000. Same with Quebec, Remembrance Day is not a statutory holiday. There are other various exemptions and considerations to take into account when it comes to Remembrance Day as a statutory holiday. For specifics for your jurisdiction, consult the Library section of HRinfodesk. Not a subscriber? Request your 8-issue trial subscription here! At 11:00 a.m. on November 11, pause for two minutes of silence. Provide employees the opportunity to wear a poppy. The distribution of poppies to the general public begins on the last Friday in October and runs until November 11. You can Donate to the Poppy Campaign. The money raised is used for the care and support of Veterans and their dependants.